The objectives of the zoning department are to serve the community as a whole by promoting public health, safety, and morals through orderly comprehensive development of the community. Zoning provides a legal means of carrying out a responsible plan for physical growth and development by designating districts which provide for the orderly use of residential, commercial and industrial areas. By encouraging the most appropriate use of lands zoning helps to protect property value and maintain the highest and best use for all properties. 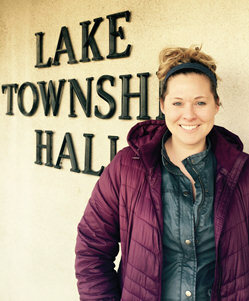 Lake Township Zoning Administrator The Zoning Administrator is responsible for the day to day administration of the Lake Township Zoning Resolution, reviewing of development projects for long-range implications and assisting the public with planning issues. Some of the other responsibilities include receiving and processing all zoning applications and permits as required by the Lake Township Zoning Resolution, overseeing the record keeping for all zoning transactions, maintaining an up-to-date copy of the zoning map and text, making on-site inspections as are necessary to carry out the enforcement of the zoning resolution, investigate all zoning complaints, and work closely with the board of trustees and the zoning boards to effect compliance with the zoning resolution.